In a penitentiary in Cieszyn, Zbigniew Niziński delivered a lecture on commemorating the Holocaust victims as well as the heroic figures of those who had rescued them. He spoke about what had been done to memorialize the dead from the Holocaust. The audience were told about empathy for other people, being ready to help others and oppose hatred. On Holocaust Memorial Day, in a local school in Pruchna, Zbigniew Niziński carried out a presentation on the common history of Poles and Jews, emphasizing the need for preserving the memory of the Holocaust victims. He displayed photographs of burial places that had been commemorated by the Foundation and spoke about the life and fate of the victims. 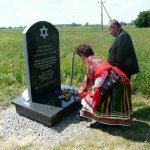 Next to the grave of 3 Jewish women marked by the Lasting Memory Foundation with the memorial stone, we conducted an unveiling ceremony which was attended by the youth from the town of Gedera in Israel and the students of Junior High School in Trzydnik Duży. Among the participants was also a Righteous Among the Nations. 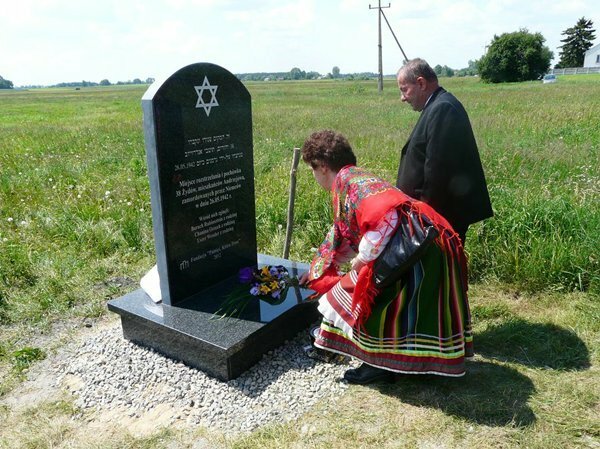 All the guests paid tribute to the dead as a sign of their opposition to hatred and genocide. In a forest in Gorajec, the Lasting Memory Foundation set up a Memorial Stone next to the grave of 12 Jews murdered by the Germans in May 1942. The ceremony honoring the victims was attended by a group of 100 students from Israel, the youth from a Junior High School in Gorajec, local authorities and residents.